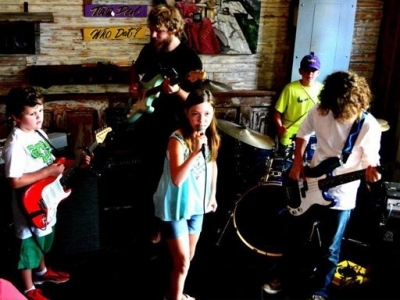 Spend the summer making music, new friends, and super fun memories at Baton Rouge Music Studios' Young Band Nation™ Music Camps. 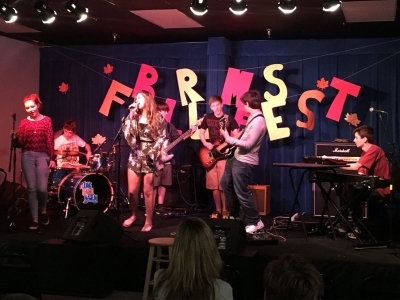 Whether your kids just love music and being creative, or they are really serious about making music with like-minded young musicians, our summer day camp offers something fun and educational for them all summer long. 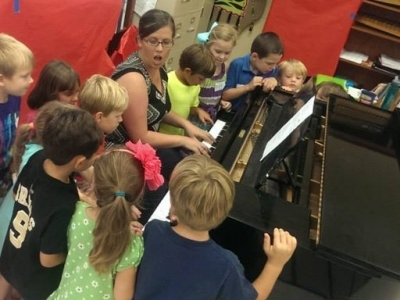 For the little ones, explore music and movement activities, sing and dance, and make music related arts and crafts. 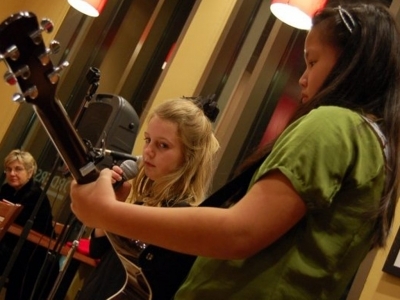 For the older campers, play or sing in a band, learn about recording and songwriting, help design, film and edit music video projects, OR come up with your own unique creative project. 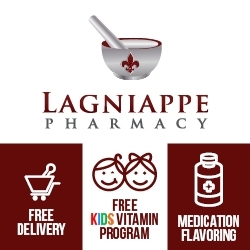 Pop in for a day, a week, or sign up for the whole summer for an unbeatable value! Each week campers will get to chose a super cool and unique concentration. 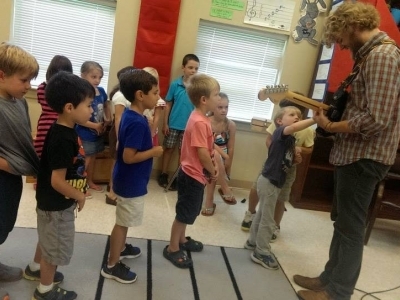 For the little ones, Little Rockers is the camp for them. For the older kids, this is where our instructors really dig in with each camper’s specific interest. 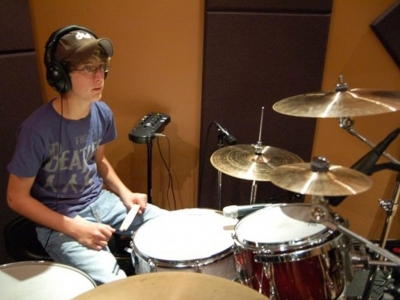 Rehearse and perform in a band or vocal project, or learn how to become a recording technician in our recording studio. Choose a different focus each week to keep your camp experience fresh all summer long! 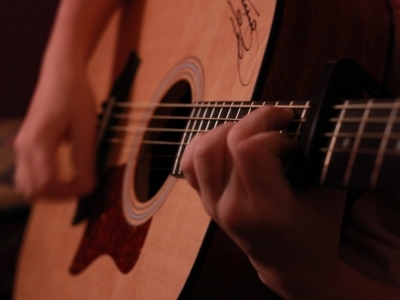 YBN™ Little Rockers Program - Learn the FUNdamentals of music. Explore a new instrument each day, create music related arts and crafts, and write a song together to perform at the end of camp! For ages 6-10. 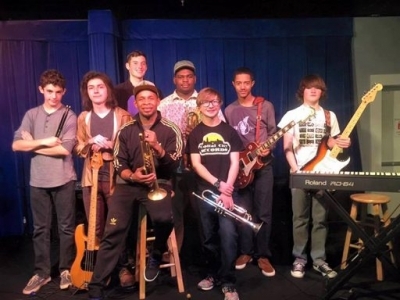 YBN™ Band Program - Rehearse, record and perform with a band! For ages 11 - 17 (or younger by assessment). YBN™ Voice Program - Rehearse, record and perform, solo and with others! For ages 11 - 17 (or younger by assessment). 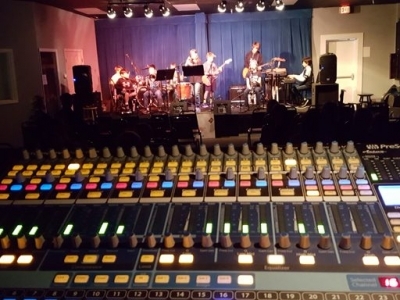 YBN™ Recording Program - Learn how to use recording software, create original compositions and help make a music video! For ages 11 - 17. Pay for the whole summer and save so much you can even skip a couple of weeks and still come out on top! Prepay for entire summer by April 1st and save a whopping $75 per week! That's $1400 for the entire 8 weeks of summer! Add early drop off and late pick up at no additional cost.